I LOVE soup! More specifically, I love any kind of soup with a cheesy or creamy base. Creamy chicken wild rice soup, broccoli cheddar soup, and cream of just about anything soup makes me go weak in the knees (or would that be weak in the taste buds?)! Soups are amazing as a side to a meal or as the meal itself. 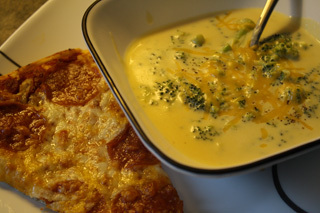 So I thought tonight we would attempt our hand at making a broccoli cheese soup in 20 minutes or less. If you have never made a soup before, then you may not understand why a 20 minute soup is such a feat. Most homemade soups take about 40-60 minutes from start to finish because they need to simmer for a while to let the flavor come out. They also take a while to thicken up to a hearty soup consistency. 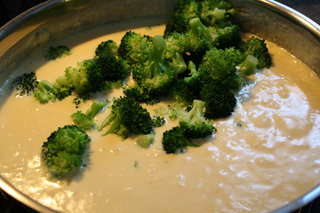 However, I'm proposing that we can make a delicious Broccoli Cheese Soup in 20 minutes or less with a few tweaks on a standard recipe. If all goes well, we will make a delicious, flavorful soup in half the time that will serve as a great side for pizza, sandwiches, or a salad. Let's get this adventure started! Melt the butter in a large pan with high sides over medium heat, whisking in the flour for about 1 minute. Note: using a large pan instead of a taller, but narrower stock pot (as is more common with soup) will allow the soup to cook faster as there is more surface area being heated. 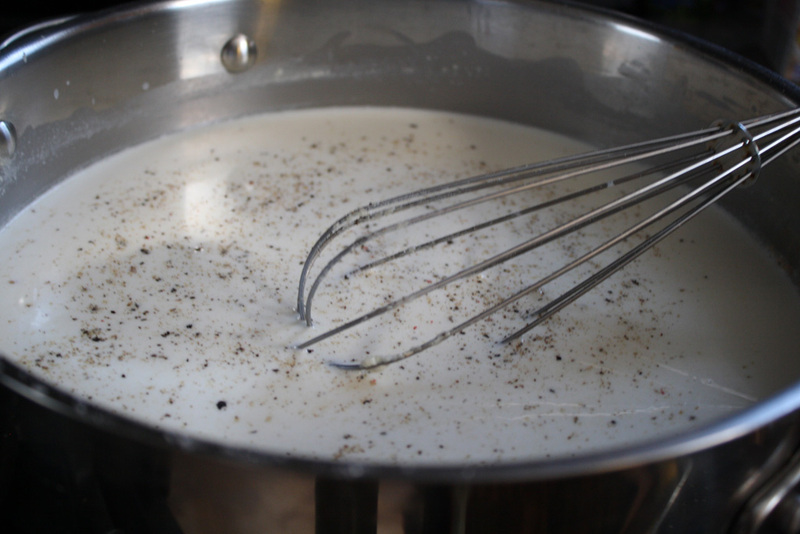 This will help thicken our soup more quickly! Add the half-and-half, stirring constantly. Then mix in the chicken broth, salt, and pepper. 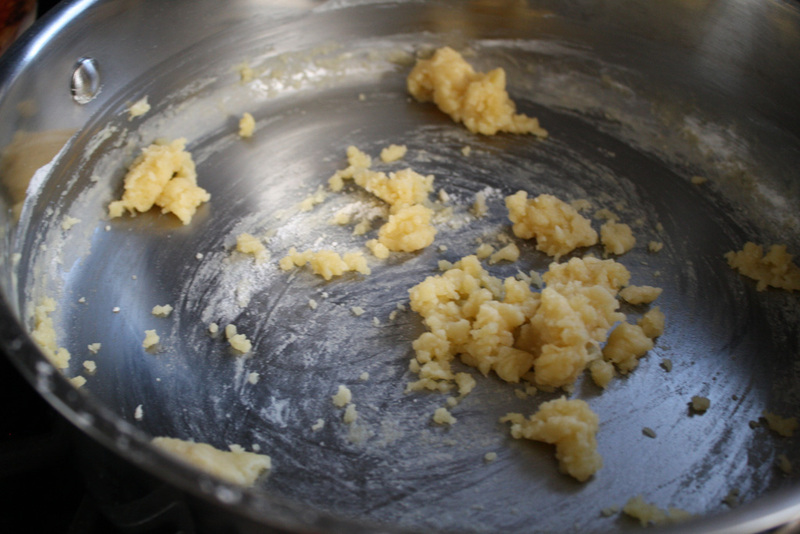 Bring to a boil, reduce heat to low, and simmer for about 5 minutes. Meanwhile, microwave the broccoli florets for 2-3 minutes or until just tender. 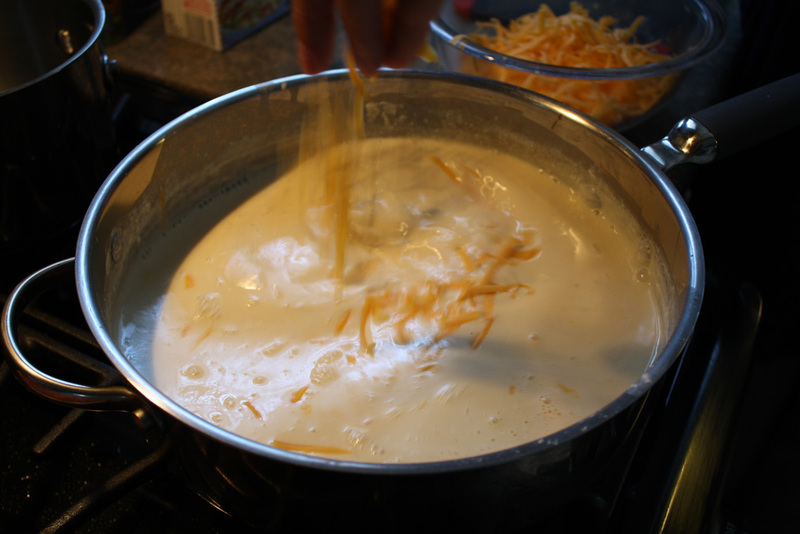 Gradually mix the processed cheese and cheddar cheese into the large pan until melted. Mix in the broccoli. Continue cooking about 5 minutes. Add julienne carrots, sliced mushrooms, and / or onions for additional flavor! Enjoy your delicious homemade broccoli cheese soup with a sandwich, a slice of pizza, or a salad!